ShoppersStop Sale - Purchase Varanga Womens Clothing at Flat 50% off. product starting from Rs.319. You can choose from 650+ products. 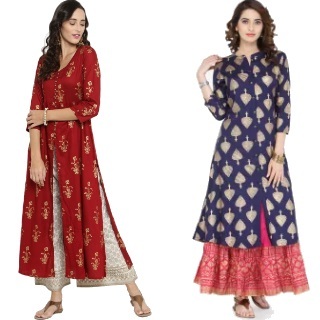 Shop Churidar, Salwars & Dupattas, Dresses, Kurtas, Lehenga Cholis, Palazzos & Jumpsuits, Pants, Salwar & Churidar Suits, Skirts. No coupon code needed. Free shipping above Rs.1000. Shop now!